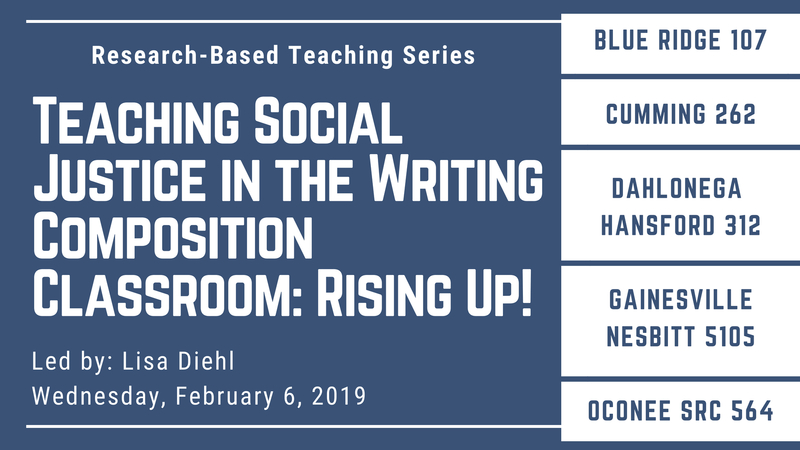 RBTS | Teaching Social Justice in the Writing Composition Classroom: Rising Up! « Open Pedagogy: What’s In It For You? This session will present how I address one of the major goals of a liberal arts education: to enhance the individual’s capacity for critically assessing the quality of one’s own thinking and how it may impact others. I will introduce and explain how I integrated social justice into an English writing class. 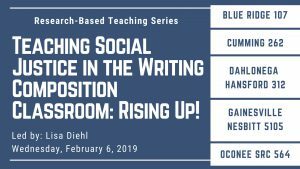 This approach to composition empowers students to gain a more comprehensive understanding of poverty, privilege, race, and social status through the perspective of others and allows them to examine their own thinking as well. This lesson plan is designed to build comprehension skills through engagement with multiple forms of media, as well as develop and strengthen critical thinking skills that promote analysis and reflection to improve communication skills and enhance leadership characteristics needed to successfully engage with a global society. I asked students to write reflections about specific social justice issues based on readings and class discussions. Students also completed in-class activities, which helped them become more aware of social justice issues which affect them and other Americans. Students demonstrated awareness and verification that justice issues are relevant, important and are not easily resolved. They also noted their own self-awareness of prejudices and stereotypes, which they had never considered. A liberal arts education at university must include learning that empowers students and prepares them to deal with complexity, diversity, and change. It provides students with broad knowledge of the wider world as well as in-depth study in a specific area of interest. A liberal arts education helps students develop a sense of social responsibility, as well as strong and transferable intellectual and practical skills such as communication, analytical and problem-solving skills, and a demonstrated ability to apply knowledge and skills in real-world settings.